Will Microsoft learn through self-flagellation? Will Microsoft learn from self-flagellation? The software giant squandered shareholder treasure for years to break into internet services, gaming and consumer electronics. Writing down the $6 billion it blew on aQuantive in 2007 should mark a turning point where Microsoft at long last returns to its knitting and focuses on enterprise. Thankfully for its shareholders, there are glimmers that this may already be happening. The purchase of the internet ad agency was ill-timed, overpriced, and poorly thought out. Google’s purchase of DoubleClick a month earlier had set off a land grab for similar firms by the likes of Yahoo and advertising conglomerate WPP. Microsoft, late to the party, paid more than twice what aQuantive had been worth a month prior. Microsoft didn’t have the traffic or the advertisers to make the purchase pay off. The massive charge it is taking merely recognizes what has been long apparent: the deal was a dog. That brings up a broader point. Microsoft’s efforts to expand beyond the enterprise customer and the PC have fared poorly. The firm’s online services division, which contains the aQuantive business, search engine Bing and MSN, had an operating loss of $1.4 billion in the first three quarters of its current fiscal year. The entertainment division that produces the Xbox has done somewhat better, earning $637 million, or an 8 percent margin, over the same time. But Microsoft spent heavily for years on the game console. It has yet to recoup these losses, much less earn a satisfactory return on investment. Microsoft’s results in the enterprise and PC spaces, however, are different indeed. Its Windows and Windows Live division earns 65 percent operating margins, as does its Business division. The company’s Server and Tools segment has 38 percent margins. Microsoft may finally be getting the message. Sure, paying $8.5 billion for Skype last year and $1.2 billion for social networking firm Yammer doesn’t exactly imply a conservative mind-set. But at least Skype can be plugged into its enterprise offerings. And Yammer is aimed squarely at business users. Ditto its recently unveiled tablet, “the Surface”. Microsoft’s record in hardware is mediocre, as the Zune illustrates. But the tablet’s key selling points are its keyboard and its Office compatibility. This was clearly designed to appeal to businesses. It’s a pity Microsoft took so long to figure out its strengths. And the company may yet make more wasteful forays into markets it perceives as sexier than the infrastructure of business. But Microsoft does at last appear to be learning from its mistakes. Microsoft announced on July 2 that it will take a $6.2 billion non-cash writedown in the fourth quarter for impairment of goodwill in its online services division, mostly related to its 2007 aQuantive acquisition. It purchased the internet ad agency for $6.3 billion. 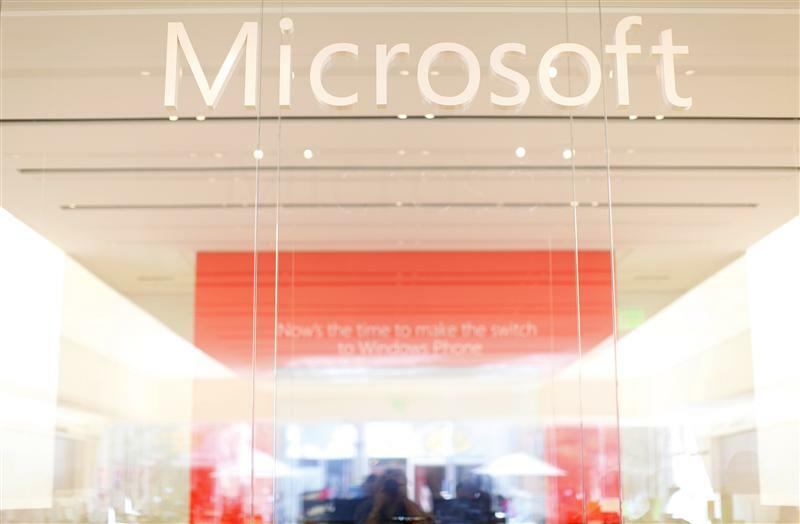 Microsoft’s online services division, which connects advertisers and audiences online through products such as its Bing search engine and MSN, had an operating loss of $1.4 billion in the nine months ending on March 31. The company as a whole had operating profit of $6.4 billion in the quarter and $21.6 billion over the same nine month period.